How Does a Seed Grow? The Root Vue Farm is a fascinating garden laboratory that shows what plants look like underground. The Root Vue Farm is a fascinating garden laboratory that shows what plants look like underground. 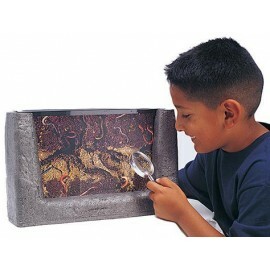 Children can view plant roots through a specially designed, sturdy, acrylic viewing window. Its perfect for any science classroom. Now you can view underground mysteries with the Root Vue Farm. 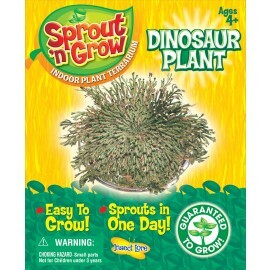 This ingenious educational kit can help you see plant roots grow and will encourage any childs green thumb. 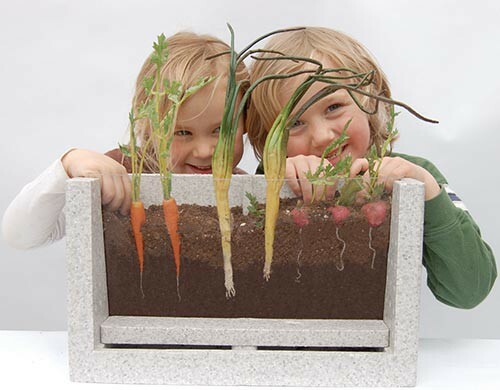 Perfect for the science classroom, the Root View Farm allows children to plants seeds and watch the entire plant, roots and all, grow until harvest. The growing box is made of waterproof styrofoam and plants are viewed through a shatterproof window. Its angled so plants hug the window for best viewing. Winner of the Oppenheim Best Toy Award Gold Seal and the Dr. Toy 100 Best Childrens Products. Growing Chart 2-sided Poster with "If Plants Could Talk"on one side and Tested Experiments and Instructions on the other.